Tsa Palmer has been involved with wolves since 1972. Together with her late husband Roger they kept wolves in a private collection first at Dorney Court and then from 1983 at Butlers Farm. In the early days the hand raised wolves used to live in her flat in London accompanying her to work in a cardboard box and sleeping under her desk! When they were weaned they moved into large secure pens in Dorney, Bucks and were taken out for walks every day in the surrounding countryside. Tsa was involved in the rearing and day to day management of around 15 wolves over the next 20 years. They starred in many films such as Dracula, American Werewolf in London and Company of Wolves as well as numerous television programmes and advertisements. In 1995 Tsa together with her husband Roger started the UK Wolf Conservation Trust and she was a director until 2002 resigning when Roger became ill and she needed to spend more time looking after their three young children On Roger's death in 2004 she resumed her commitment to the Trust, becoming a Director again and running the Trust on a day-to-day basis. Tsa has a background in fundraising so is involved with the media and merchandise side of the Trust, as well as regularly running events at the Trust and handling the wolves. Her passion for these wonderful animals is if anything stronger than ever. The Trust has grown hugely since 2004 with over 10,000 visitors now a year coming to learn about wolf conservation at what is now the premier facility for wolves in the UK. Nigel has been a director since the Trust started. He is a retired corporate lawyer and helps to look after the Trust's finances. He advises on employment issues within the Trust. He together with Charles Hicks is helping pursue the Trust's ongoing application for charitable status. Nigel Bulmer has been a director since 2001. Until retiring in 2007 he was a partner in a London solicitors firm practicing in corporate, employment and other areas of law. He is a trustee of a number of charities and has lived in Berkshire for the past 25 years. Denise Taylor is successful businesswoman, author and conservationist whose primary interests are in environmental education and learning in wildlife conservation. In 2003, Denise set up a social enterprise called Education 4 Conservation (E4C) which provides resources for conservation educators throughout the world. For 12 years Denise was a director of the UK Wolf Conservation Trust and stepped down in 2009. She continues however in the role of specialist advisor at the Trust. Denise has a degree in Business Administration and is in the final stages of completing her doctoral thesis at the University of Nottingham on the efficacy of wolf conservation education programmes throughout the world, with a focus on hard to reach target groups. For the past few years Denise has combined her business and academic interests, and believes that her background in the corporate world gives her a pragmatic approach to conservation that helps to bridge the gaps between the different disciplines and complements the work of science-based colleagues. As an author Denise has written numerous articles and chapters on environmental and conservation and education, and has recently co-written two books for primary age children, the most recent titled “Critical Thinking Across the Curriculum” which is due to be published in October 2010. Denise is a panel member of the IUCN (The World Conservation Union) Canid Specialist Group; comprising a group of 100 international experts from around the world. Marco Musiani PhD was born in 1970 in Rome, the city of the famous she-wolf. He has been interested in wildlife biology, ecology and management research since he started his career in the mid 1990s. Marco is an assistant professor of landscape ecology at the University of Calgary and is also affiliated with the University of Montana; he teaches wildlife management and landscape ecology and supervises graduate students interested in these subjects on a variety of related themes. Many of Marco’s projects are centered on carnivore species that serve as entry points into broader environmental issues. As an example, one of his projects dealt with livestock protection from wolves in the Balkans. His work on wolf depredation on livestock incorporates interdisciplinary problem solving, conducting scientifically sound research and the application of ecological research to decision making. Marco publishes his work in many international scientific journals including Conservation Biology, Bioscience, and Animal Welfare. He has held numerous Awards, including the prestigious: National Sciences and Engineering Research Council of Canada and Italian National Research Council Study Abroad Scholarships. In 2003 Marco was one of the organisers of the World Wolf Congress which attracted over 500 delegates from all continents of the world. He is also a reviewer for research and management projects such as the Wolf Reintroduction Programs in the Northwestern and Southwestern USA and a consultant for the Portuguese Wolf Project, University of Lisbon. Marco is one of the editors of a series of groundbreaking books on wolf ecology and conservation which the UK Wolf Conservation Trust is proud to support and has had the privilege to launch the first book in 2009 and the second in 2010. It was at the 2010 book launch that Marco agreed to become a patron of the Trust. 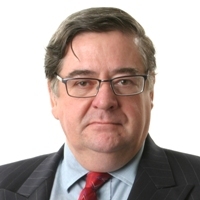 Charles was responsible for the incorporation of the then Trust as a not-for-profit company in 1999 and has been a director since the Trust started operating in its corporate guise in June 2000. Charles was historically director with particular responsiblity for Health and Safety matters but has now passed this on to Anne Carter. While still interested in Risk Management and Compliance he focuses on matters financial and accounting and matters related to the application for charitable status. Charles is the official Company Secretary. Charles knew Roger at Cambridge in the latter part of the 60s and was involved peripherally with various of his activities since then. He well remembers two little newborn wolf cubs in a small London flat. A small start to what the Trust is today. In real life Charles is a private client solicitor with Wedlake Bell in central London. This extends to being trustee of seven charities including the British Liver Trust, and chairman of a local charitable nursery/primary school. He is also chairman of various pension schemes and trustee of numerous family trusts. Charles is a member of inter alia RSPB, Songbird Survival Trust, Countryside Alliance, Game Conservancy Trust and various other countryside organisations and in his childhood was a member of the XYZ club (Xceptional Young Zoologists promoted by the London Zooological Society (London Zoo)). Dr. Claudio Sillero was born in Argentina, but now lives in Oxford, England. Claudio is a Zoology Research Fellow at Oxford University’s Wildlife Conservation Research Unit and supervises its projects worldwide. He is internationally recognized for his work on carnivore conservation projects. One of his greatest contributions to conservation is his work to protect the critically endangered Ethiopian wolf. In 1995 he founded the Ethiopian Wolf Conservation Program (EWCP), receiving the Whitley Award for Animal Conservation from the Royal Geographical Society in 1998. In addition to directing the EWCP, he participates in and influences dozens of other projects that benefit threatened carnivore species and biodiversity worldwide. Claudio’s interest lies in ensuring the economic and social well-being of the human communities that need to co-exist with carnivores. His current work focuses on mitigating conflict between wildlife and humans to promote the sustainable survival of both. Claudio has established an international network, the People and Wildlife Initiative, which focuses on partnering with communities to develop methods of conflict resolution. Claudio is also the Chair of the IUCN Canid Specialist Group, the international body responsible for the conservation of wolves, jackals, dogs and foxes. Sue Hull became a director of the Trust in 2009. Sue is no stranger to the Trust and indeed was instrumental in helping in its inception in 1995. In 1985 Sue founded the Wolf Society of Great Britain, an organisation dedicated to wolf related education and conservation, only the third such organisation in Europe. During her time at the Wolf Society she contacted Roger and Tsa Palmer and the Wolf Society made regular visits to see the wolves at Butlers Farm which at the time were kept in two enclosures in the garden. Sue was responsible for bringing Erich Klinghammer over from the States to give a two day seminar for the Wolf Society and during his stay Erich visited Tsa and Roger. Thus this meeting was the inspiration for setting up the Wolf Trust, and following Rogers subsequent visit to Wolf Park was realised in 1995. 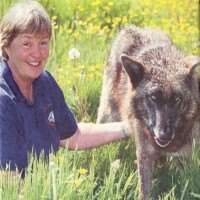 In the Trusts early years Sue was Education Co-ordinator and responsible for running seminars and indeed spoke at several early ones herself, on topics such as wolf behaviour and wolf dog hybrids. She used to write a regular column “HULLS HOWL” for the Wolf Society's Magazine “The Howler” and also for the magazine of WolfWatch UK. She arranged many seminars and trips not only abroad to Portugal and Wolf Park for Wolf Society members but also to study wolves in this country at Port Lympne , The Highland Wildlife Park and Longleat. In 1996 Sue had a break from wolf activities and completed an MSC in Animal Behaviour at Southampton University and set up a behavioural practice primarily in treating problems in dogs. She and her husband Roger themselves had a wolf “Tundra” in 1990 whom they hand raised and hoped would be able to live at Wolf Watch UK as a companion to Ayla. Unfortunately he suffered from an inoperable severe congenital eye defect and had to be put to sleep at only five months old. Sue has owned and raced sled dogs for 25 years and currently lives with a pack of seven Siberian huskies and her husband Roger. 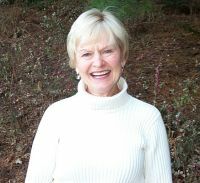 Cornelia Hutt is a former public school teacher and administrator. She is a member of the board of directors of the International Wolf Center in Minnesota and is chair of the board of directors of the Red Wolf Coalition in North Carolina. She is a regular contributor of articles to International Wolf magazine, the quarterly publication of the International Wolf Center. She lives in northern Virginia. A quote from Cornelia, regarding the Trust: "Being a patron of the UKWCT is yet another way to express my commitment to the work of one of the world's most respected wolf organisations. The impact and scope of the UKWCT's accurate, timely and effective educational programs and products benefit wolves around the globe. A visit to the UKWCT, with its ambassador wolves in their natural habitat, provides a matchless experience for people of all ages. It's an unbeatable way to learn what's true and what's not about a fascinating and complex predator." The Red Wolf Coalition advocates for the long-term survival of red wolf populations by teaching about the red wolf and by fostering public involvement in red wolf conservation. The Red Wolf Coalition's vision is: "The Red Wolf Coalition envisions the long-term survival of free-ranging, self-sustaining red wolf populations at two or more sites. The Coalition also envisions that the public will have an informed appreciated of red wolves; that the Red Wolf Coalition and the Red Wolf Center will be financially secure and appropriately staffed; that the Red Wolf Center will benefit the local and regional community; and that the Red Wolf Coalition will be a strong political voice and educational resource for red wolf recovery." Desmond Morris was born 24th January 1928 and is most famous for his work as a zoologist and ethologist. He was educated at Dauntsey’s School, West Lavington, Wiltshire where he developed a strong interest in both writing and natural history. After military service, he attended the University of Birmingham where he graduated in 1951 with a First Class Honours Degree in Zoology. In 1954, he was awarded a D.Phil. from Oxford University in animal behaviour. He first came to public attention in the 1950s as a presenter of the ITV programme Zoo Time. In 1959 Desmond became the Zoological Society’s Curator of Mammals, and took up the role as co-editor of the International Zoo Yearbook for its first four volumes (1959-1962). He was also responsible for establishing an informal research unit at London Zoo comprising Ph.D. students undertaking doctoral work in animal behaviour and other visiting scientists. Desmond’s own studies focused on animal and human behaviour, explained from a zoological point of view. His examination of humans from a bluntly zoological point of view has attracted controversy. Over the years he has written numerous books and produced a number of television shows. Desmond Morris first met the wolves in the 1980s when Roger and Tsa kept them privately and filmed on the lawn at Butlers Farm with Quatro for a television series. 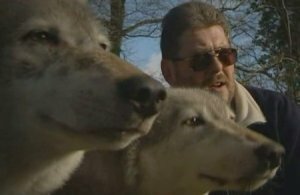 Part of the well known BBC TV programme "A Wolf in your Living room" narrated by Desmond was also filmed at the Trust with the European wolves. In 2006 Desmond spoke out in favour of hand rearing zoo kept wild animals when a polar bear female rejected her cubs and zoo staff stepped in to save them. In 2009 he published 2 new books called Planet Ape and Owl. "There is so much to learn from the study of wolves, and it is worth remembering that every domestic dog – from Great Dane to Chihuahua – is almost 100% wolf. All we have done is to make superficial changes to their shape and size. But despite their appearance, genetically they are all direct descendants of wolves. So perhaps it is not exaggerating to describe the wolf as man’s best friend!!" Two links to recent Desmond Morris articles: Link 1, link 2. Michelle was born in Nyasaland (now Malawi), where her South African father ran the tiny Nyasaland Times, and her Belgian mother wrote a weekly gossip column. In 1963 the family moved to the UK. As a child Michelle had wanted a wolf for a pet, her parents bought her a spaniel instead which she imagined to be a wolf and took it on many adventures. Michelle was educated in Wimbledon and later at Oxford University. She gained a First in her Biochemistry degree, but by then she'd already decided against a career in science. Instead Michelle took up a career in law and qualified as a solicitor with a big city firm. In 1998 she had realized she needed a change and moved away from law to concentrate on her writing career. In 2003 Michelle started work on an idea for a series of six books that had been thinking about since childhood. Set in prehistoric, hunter/gatherer times, the stories revolve around a boy - and his wolf companion - growing up and fighting for survival. It was whilst researching this series of books called "Chronicles of Ancient Darkness" that Michelle first visited the Trust, she encountered Dakota. Dakota only had half a tail, a characteristic that passed on to Wolf (one of the characters in the series). Torak is the main character, the name in the Inuit language means "the perfect one". The Trust named Torak our wolf after her hero. Michelle has a good rapport with the wolves especially the Canadians whom she helped bottle feed when they were small. She became a patron of the Trust in 2005 and has been a great supporter opening the Education Centre in February 2007 and leading creative writing workshops as part of our children’s events. She was even featured in the Trust's film, Ambassadors of the Wild. Michelle Paver says "The best way of dispelling the myth of the Big Bad Wolf myth is to meet one- and through the UKWCT, you can do just that! By raising happy, healthy wolves in beautiful natural surroundings, the Trust does a huge amount to improve wolf-human relations in this country, while also contributing to overseas projects to help wolves in the wild. That’s why I’m proud to be ones of its patrons." David Clement-Davies was born in 1964 and went to Westminster School and Edinburgh University where he read History and English Literature. He began his writing career as a freelance travel journalist and his first novel Fire Bringer, was published in 2000. It was followed by The Sight and Fell. David first met Roger Palmer when they both travelled to Romania in the winter of 1990 where they saw bears and wolves. It was during this trip that David learnt of superstitious tales and local folklore (such as Dracula). He then visited the Trust to research wolf behaviour for his book The Sight. This book is set in Transylvania, and is about a pack of wolves, seeking shelter from the harsh winter in the shadow of an abandoned castle. David supports the work of the Trust when he visits schools talking about his work and has hosted several creative writing workshops at the Trust during the School Holidays. Martin Adams was born in June 1965 in Sutton, London. Nicknamed “Wolfie” due to his beard, Martin has been captain of the English darts team since 1993 and holds the record for the person longest in the role. His career started whilst playing pub darts and in 1982 he turned professional. He has since won the World Championship three times and he is reigning World Masters Champion. Martin has always loved wolves and first visited the Trust in 2002 when he met, walked with and subsequently adopted Duma. He has been a regular visitor to the Trust since then. In 2007 when he won his first World Championship at the Lakeside the BBC came to film Martin with Duma at the Trust. On open days Martin demonstrates his darts skills to our visitors and gives them some tips on their throwing. He is a great supporter of the Trust's work, promoting us on his website and wherever he goes. Kirsty Peake was born in Scotland. Her ‘ambition’ as a young girl was to own a golden eagle and a wolf. She didn’t quite achieve this ending up with a parrot and a bunch of Lakeland Terriers! She has always been fascinated by wolves and their behaviour and in particular how could early man ‘tame’ them to hunt for him. Her working life took her to Africa and she studied ‘village dogs’ and how they interacted within the village. A meeting with Professor Ray Coppinger introduced her to the wolf>village dog>domestic dog research that he and his wife Lorna had been carrying out for some years and as a result of that she became more involved in studying wolf behaviour in relation to domestic dog behaviour. After the re-introduction of the wolves to Yellowstone National Park, Kirsty and her husband Alan took small groups out to watch the wolves and study their behaviour. Now they have a house just 30 miles north of the Park and spend approximately 6 months of the year out there following their passion of wolf watching. A qualified companion animal behaviourist and trainer Kirsty runs a behaviour practice in South Devon with two other behaviourists and a support team. She is delighted to become a Special Adviser to the UKWCT. She looks forward to being able to assist them in their projects. The UKWCT has come a long way over recent years and is now, in Kirsty’s opinion, one of the leaders in the world of wolves, offering research facilities and education opportunities. Alistair Bath was born in the UK but now lives in Newfoundland, Canada. 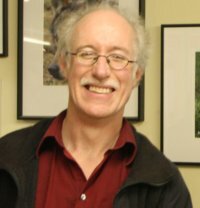 He is currently an associate professor within the Department of Geography at Memorial University, Newfoundland, where he teaches natural resource management issues, parks and protecting areas planning, conflict resolution and public involvement, usually in the context of wildlife and large carnivore issues. 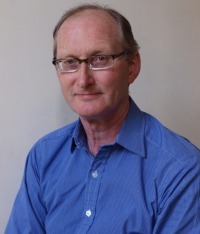 As an adjunct professor at the technical University of Munich in the international sustainable resource management programme, Alistair routinely teaches human dimensions courses in Germany and also in a graduate conservation biology programme at La Sapienza in Rome, Italy. He is currently a member of the IUCN Large Carnivore Initiative for Europe Species Group and has conducted numerous research projects throughout Europe focused on human dimensions in wolf, brown bear and lynx management issues. Dr Bath actively applies the human dimensions facilitated workshop approach which he has developed and has implemented it in Croatia to get diverse interest groups to reach consensus on wolf and lynx management plans. He is a popular speaker at or seminars here at the UKWCT; his latest talk was focused on working with people’s attitudes towards conservation drawing on examples from his research and experience. The UK Wolf Conservation Trust has supported projects Alistair is closely connected to in Armenia and Greece. Garry Marvin is a social anthropologist and Professor of Human-Animal Studies at the University of Roehampton, London. He is particularly interested in how human-animal relationships are developed and how they are experienced by the human participants. He has conducted research into, and published on, bullfighting in Spain, zoos, foxhunting in England, and hunters’ trophies. He is particularly interested in the human dimensions aspects of conservation programmes and in human conflicts about animals. His latest publication is 'Wolf' (Reaktion Books, London) – a book that explores historical, social and cultural issues of human-wolf relationships.